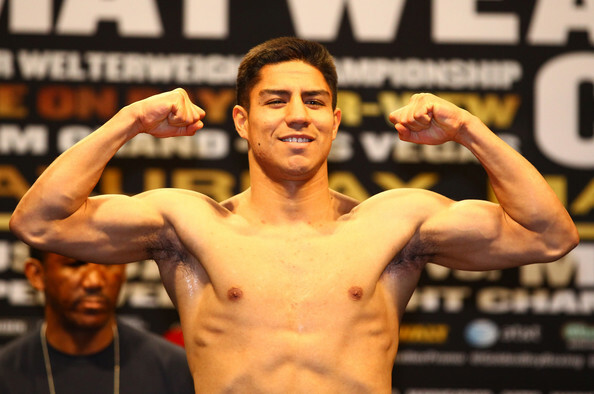 Three Time World Champion Jessie Vargas has confirmed that he will appear, have a booth and hold a Meet & Greet with his fans at the Las Vegas Convention Center for the 4th edition of Box Fan Expo that will take place Saturday May 5, 2018 from 10am to 5pm, during Cinco De Mayo fight weekend. Vargas will once again appear at this year’s Expo where he will be launching and introducing his new “Jessie Vargas Tequila Signature Bottle” products. Vargas will be signing gloves, photos and will also have merchandise for fans to enjoy. Boxing fans will also have a great opportunity to take pictures with this boxing star. Vargas will also be involved in a mega fight event versus Adrien Broner on April 21st at Barclays Center in Brooklyn, New York. The fight will be Live on Showtime Boxing, Presented by Premier Boxing Champions “PBC” and co-promoted by Mayweather Promotions and Dibella Entertainment. Vargas joins, David Benavidez, José Benavidez, Zab Judah, Shannon Briggs, Badou Jack, Kelly Pavlik, Erik Morales and Fernando Vargas among early commitments to this year’s Box Fan Expo.